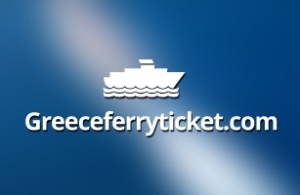 Intros.gr begun the cooperation with Salina Travel LTD, by upgrading, optimizing and hosting of greeceferryticket.com is a website with a variety of information regarding shipping companies, ferry routes as well as information for all the major Greek ports. On-line ferry ticket booking is also available.The project was mainly about Data Migration to the latest upgraded stable version of Joomla, using K2 component for better page presentation and finally, optimization of code (S.E.O. set up) for the better evaluation and ranking of the website by search engines.Our suggestion, which was implemented, was to add Κ2 component and K2 responsive scroller, as well as many other custom modules, in order to make the navigation through the website, and searching of information easier. We also suggested the addition of Blog section, in the main menu, in order to increase the pages and for general S.E.O. purposes. We did all the changes mentioned above, without changing the entire website layout.